A brand for the dapper gentleman. 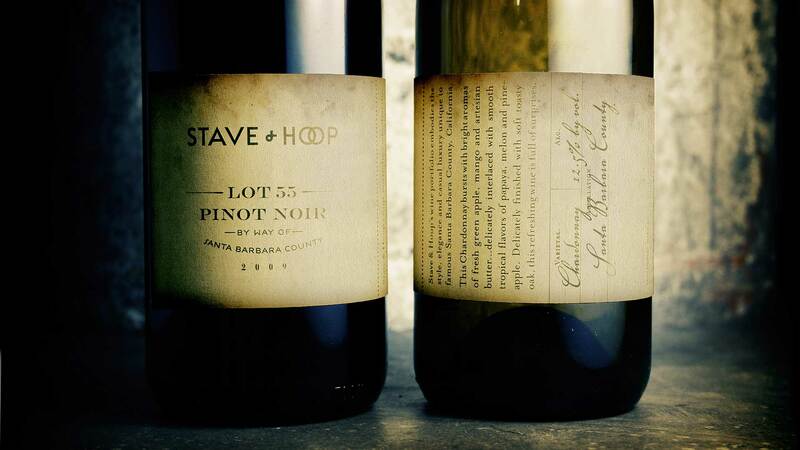 Not beer, not whiskey—Stave & Hoop makes it all right to have a glass of wine at the end of the day. This is a wine for no nonsense men. Inspired by frontier era “cure alls” and “revitalizing tonics”, the straight talking antique typography and innovative wrap-around label invites the consumer to learn more without the need for a necker or shelf talker. These wines are big enough for Texas and sold exclusively through H-E-B.